Need assistance? We strive to offer you the best service possible. These pages are here to help you get the most from our site and also to help you resolve any queries you may have with our tablet applications. PayPal freezes when trying to buy via my iPad? How do I change the address of a Print Subscription? I have a voucher code for money off, how do I use it? How do I cancel/ stop the renewal of a digital magazine subscription? How do I login to my Pocketmags account on the Android apps? My app won’t load past the splash page, how can I fix this? I’m getting a connection error when I try to setup a new account on the ‘i Newspaper’ app, what can I do? I have received a gift, how do I access it? Why do I need to enter my email address to redeem a gift? Page not found when logging in? How do I cancel an online subscription? How do I change my email address/ username? What is a Pocketmags point worth? How do I spend Pocketmags points? I have bought a print subscription from Pocketmags.com, when will it arrive? 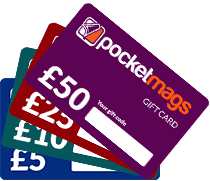 If you have any further queries please do not hesitate to contact us at help@pocketmags.com we will endeavour to respond to your enquiries as soon as possible.